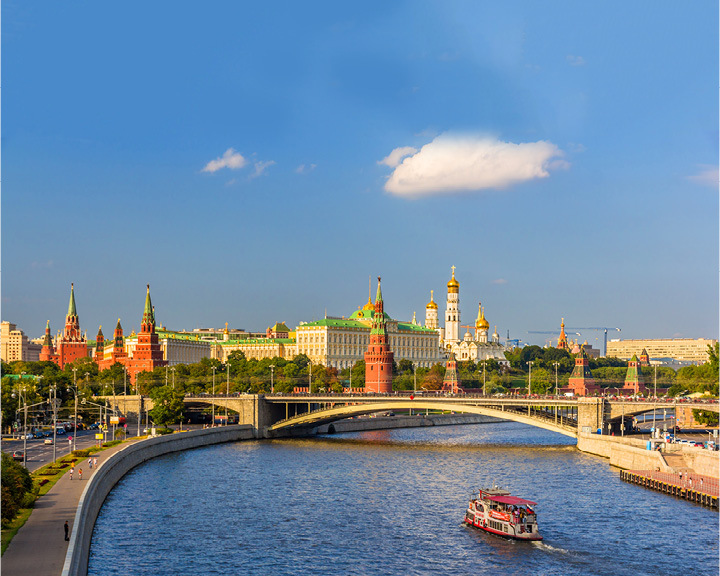 The Kremlin is the official residence of the President of the Russian Federation. 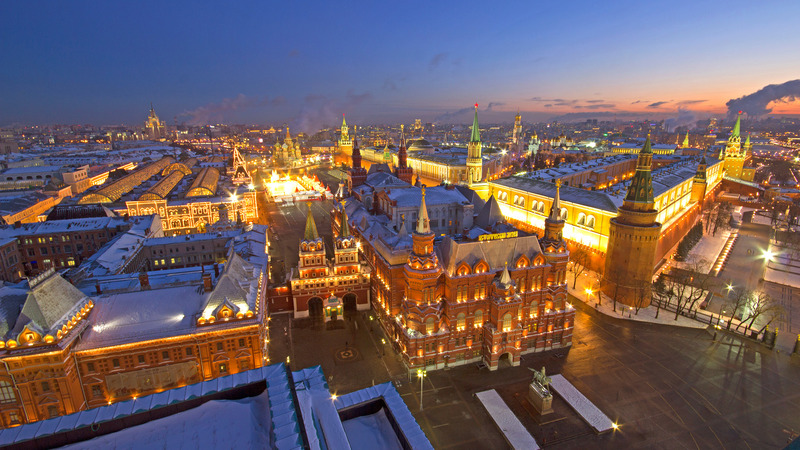 Beyond the red walls that surround the Red Square, you can take an excursion to one of the museums located inside. 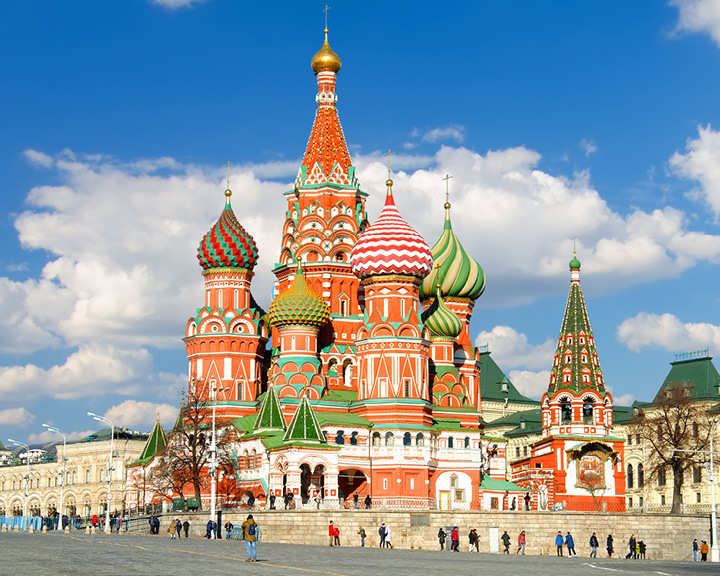 Saint Basil’s Cathedral is a church in Moscow, located at a short distance from the Kremlin. 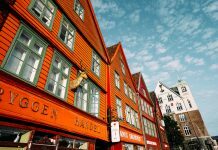 Now converted into a museum, this is one of the most Instagrammed spots in the city. 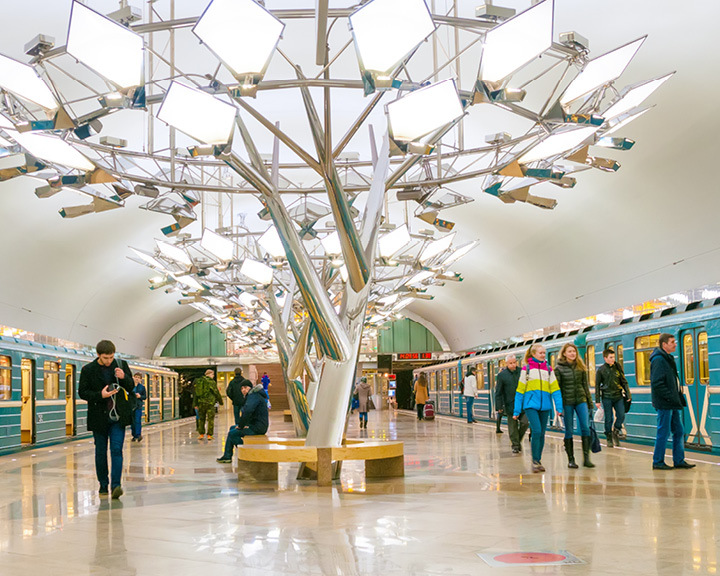 You probably won’t find a metro station as aesthetically appealing as this one in Moscow. This magnificently built Moscow’s Metro system was launched in 1935. For the best experience, visit between 11am and 4 pm when there is less crowd. 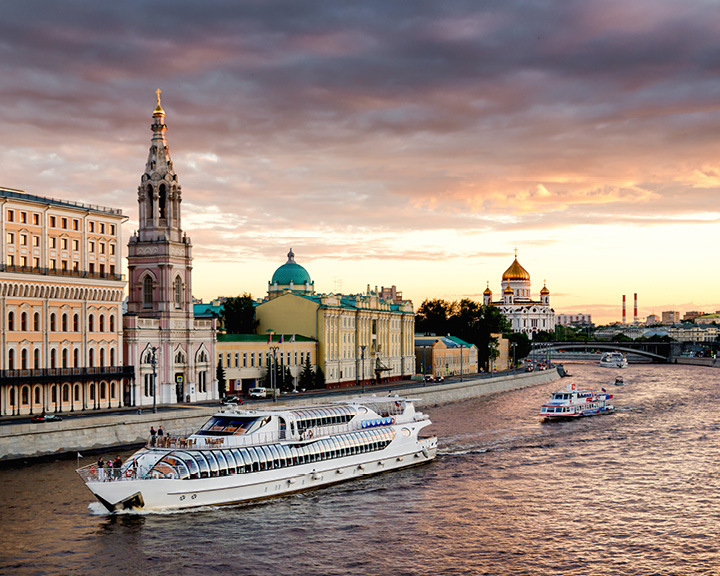 A guided Moscow river cruise is a must-do for history buffs. 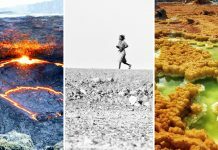 The best time to take it is at sunset when the major landmark spots are bathed in a magnificent, orange-hued glow. 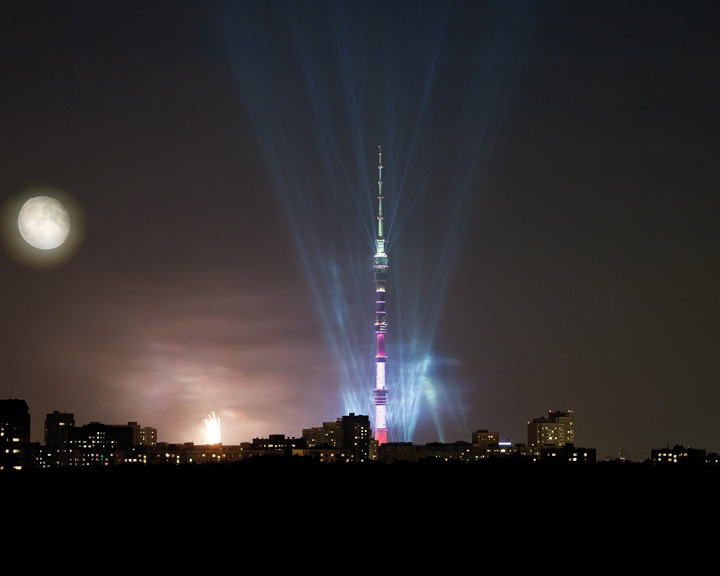 For a night-time view of the city, climb the Ostankinskaya TV Tower, the tallest building in the Moscow. This is also a popular place for a bragworthy selfie. 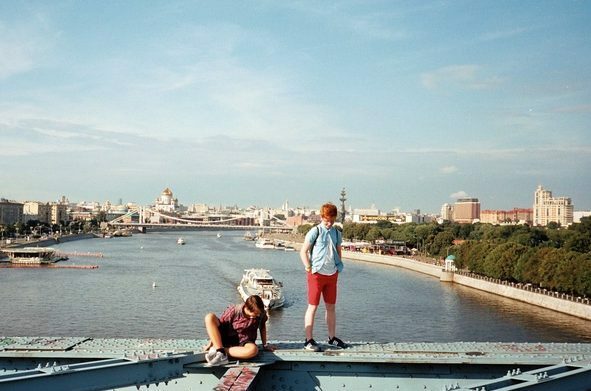 One of the unique tours offered in Moscow is a Roof Tour, where you’re given access to some of the best rooftops in the city for a view of the Moscow skyline that includes the historic centre, the financial centre, and the Seven Sisters.